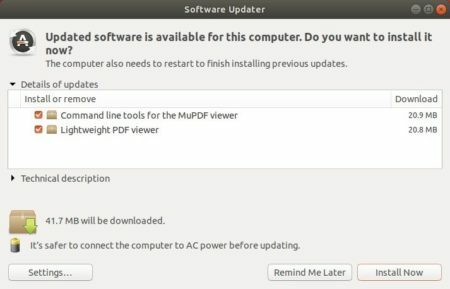 MuPDF 1.14.0, a lightweight PDF, XPS, and E-book viewer, was released today with new features, UI improvements and other changes. Added “Source Han Serif” CJK fallback font. Added more scripts to the Noto fallback fonts. “mutool show” now supports a path syntax for selecting objects to show. New annotation editing mode in mupdf-gl. Can create, edit, and delete most annotation types. Can create appearance streams for most annotation types, Tx form fields, Ch form fields. And UI improvements, API changes, and other more. 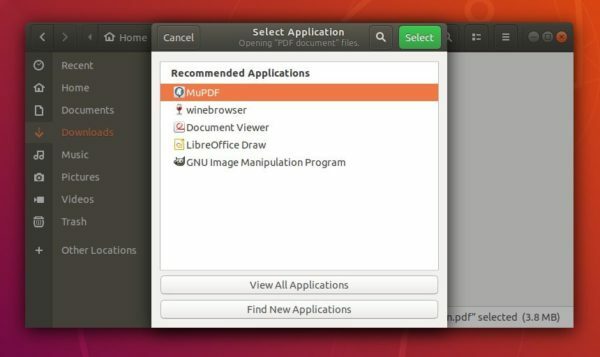 The unofficial PPA contains the most recent MuPDF packages for Ubuntu 16.04, Ubuntu 18.04, Linux Mint 18/19 so far. MuPDF 1.14.0 package is delayed due to a building issue. I’ll update the PPA once a patch for the issue published. UPDATE: The new release package now is ready to install via following steps in Ubuntu 16.04, Ubuntu 18.04, Ubuntu 18.10, and their derivatives. Type in password (no asterisks feedback due to security reason) when it asks and hit Enter. Looks nifty. However, I think most people might either wait for it to be updated or just compile it from source if they can.